The outlook for the future of colleges and universities is uncertain. Financial stresses, changing student populations, and rapidly developing technologies all pose significant challenges to the nation's colleges and universities. 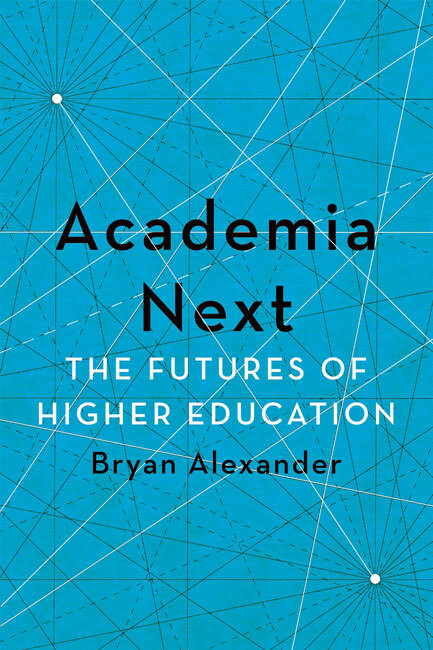 In Academia Next, futurist and higher education expert Bryan Alexander addresses these evolving trends to better understand higher education's next generation. Alexander first examines current economic, demographic, political, international, and policy developments as they relate to higher education. He also explores internal developments within postsecondary schooling, including those related to enrollment, access, academic labor, alternative certification, sexual assault, and the changing library, paying particularly close attention to technological changes. Alexander then looks beyond these trends to offer a series of distinct scenarios and practical responses for institutions to consider when combating shrinking enrollments, reduced public support, and the proliferation of technological options. Arguing that the forces he highlights are not speculative but are already in play, Alexander draws on a rich, extensive, and socially engaged body of research to best determine their likeliest outcomes. It is only by taking these trends seriously, he writes, that colleges and universities can improve their chances of survival. An unusually multifaceted approach to American higher education that views institutions as complex organisms, Academia Next offers a fresh perspective on the emerging colleges and universities of today and tomorrow.